Whether you are a retirement or apartment community, urban condo association or a commercial property, attractive landscaping can play a vital role in boosting the occupancy number to your property. A pleasing exterior helps to ensure a positive environment for tenants while increasing your properties overall value and curb appeal. Wish to contact us? Fill out our form below and a member of our team will be in touch with you promptly. Our trained technicians are also available for troubleshooting and repairs. Whether you need a onetime service call or want to schedule ongoing maintenance, we are there to handle your irritation issues. 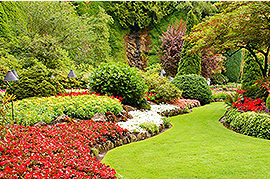 We provide detailed irrigation analysis to ensure the health of your lawn and landscapes. Our technicians can even help reduce your water bills. 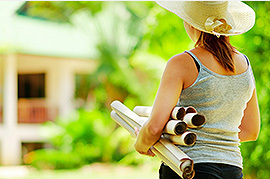 At GLIG Groundworks, we offer you full service landscape design and installation. Whether you need a small or large project to enhance your landscaping, let our expert staff bring your property to its full potential. The trees on your property can be the single most valuable asset of your exterior landscape. Beyond their beauty, trees will reduce your air conditioning cost, control erosion and shield your property from wind and sun. While enhancing the beauty of your property, trees will add color and aromas for the pleasure of your tenants and residents. 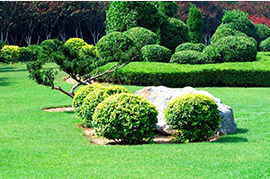 Maintaining a healthy and beautiful landscape means eliminating the pests that can cause serious damage. GLIG Grounds works has the experience and expertise to combat all pest control problems! 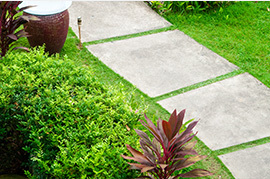 GLIG Groundworks Landscaping team will transform your ordinary outdoor space into an extraordinary environment! With over 28 years of experience, our staff has been trained in-house to deliver the high quality excellence our customers deserve.